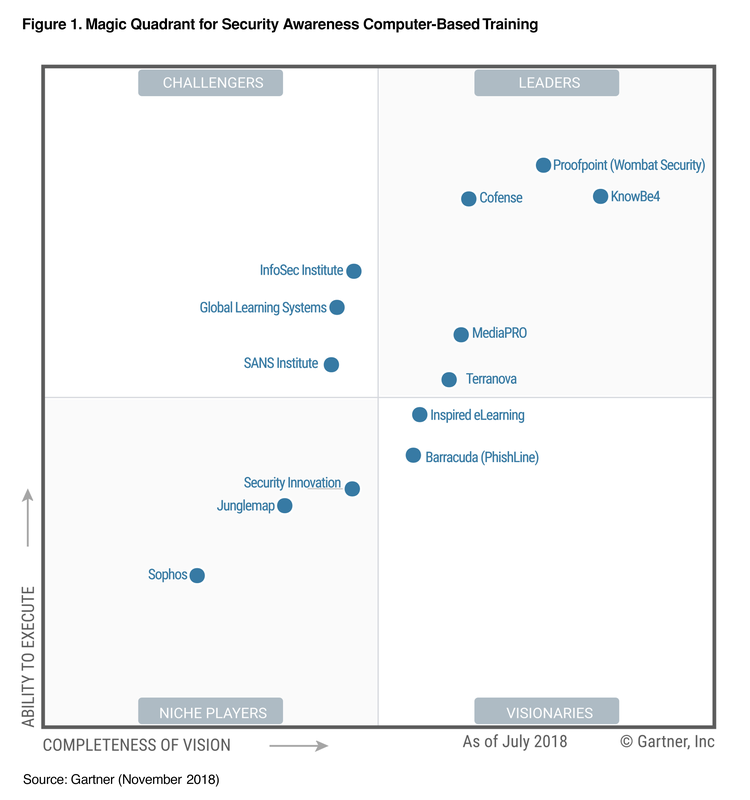 Gartner has recognized KnowBe4 as a Leader in the security awareness CBT market and positioned furthest in vision based on our ability to execute and completeness of vision. We believe, as the fastest-growing company within this market, our mission to enable employees to make smarter security decisions within client organizations has been successful using world-class training and simulated phishing to improve their security posture and mitigate risk. Read the Security Awareness CBT report to find out what we believe sets KnowBe4 apart. Download Your Complimentary Copy of the Report Now! This graphic was published by Gartner, Inc. as part of a larger research document and should be evaluated in the context of the entire document. The Gartner document is available upon request from KnowBe4.